When I picked up the Chocolate Bar Palette I also bought this, I just couldn't resist. 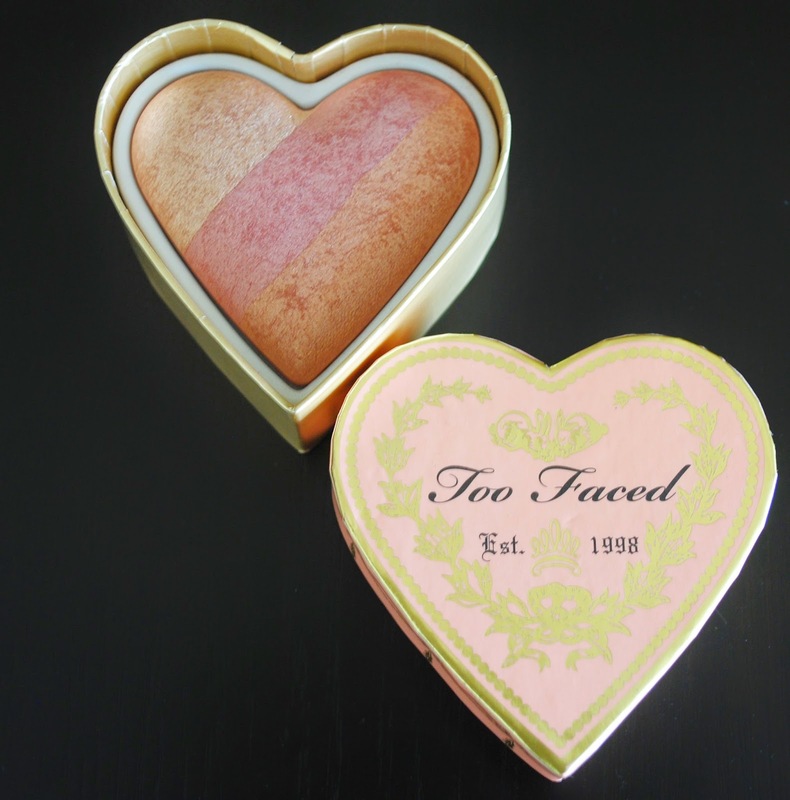 What first caught my eye was the super cute packaging and when I saw how beautiful the colours were I was sold! I believe there are 3 colours to choose from, there is the original one Candy Glow and more recently they came out with 2 more shades Something About Berry and Peach Beach the one I have. Peach Beach is beautiful, you can use the shades separately or just swirl your brush and mix them together like I do, it just gives you the most beautiful glow, I just love the pinky-peach bronzey colour that gives. Since I bought it, I couple weeks ago, I have been using this non stop! So happy I bought it!